Fereniki Resort & Spa is located in Georgioupolis, Greece, and boasts a beachfront position desirable for families after a quick escape to the sun. In addition to being steps away from the sand, the hotel has spectacular swimming pools surrounded by lovely gardens, a relaxing spa, a kid's playground and on-site restaurants – sure to entertain both big and small guests during their stay. The rooms at Fereniki Resort & Spa are spacious and each offer views of the sea or gardens from the balconies. There is Wi-Fi access in the guest room and lobby for a charge, too. This hotel is a stone’s throw from the sandy beach which looks over the Mediterranean Sea. If you want to explore the surrounding area, the closest landmarks are the museum of Gavalorchi (5.3miles), the Ancient city of Aptera (10.2 miles), Venetian Harbour (12 miles), the Municipal gardens (11.8 miles) and the Souda Port (13.9 miles), so there are so many local attractions for guests to visit during their stay. The closets airport is the Chania International Airport which is 14.2 miles from the resort. There is also an abundance of beautiful scenery for guests to enjoy whilst at the hotel or relaxing on the beach. 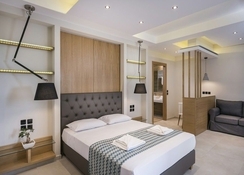 The room types available at this hotel include a Double/Twin Room with Sea/Garden/Pool View, a Family Apartment with Sea/Garden/Pool View, a Deluxe Suite, a Superior Suite and a Family Room. 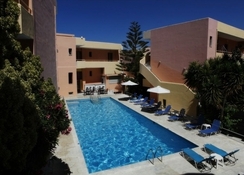 Rooms come with a view of either the pool, the sea or the gardens. The traditional style decorating of the rooms gives guests the full Greek experience. The restaurant on-site offers a buffet-style service with Greek, Italian, Mediterranean and international cuisine available. There is also an a la Carte restaurant which is open for breakfast, lunch and dinner, too. The variety of dishes mean that you can try foods from around the world, ensuring you have plenty of choice each day and night - this makes it easy for families and younger children to find a venue that has food fit for everyone. There are also vegetarian and gluten free options available at this restaurant. There are so many things for guests to do during their stay at the Fereniki Resort & Spa such as enjoying the varied treatments that are available at the Spa or relaxing on a sunlounger with a book from the hotel library. If you’re looking for something livelier, activities such as horse-riding and bike rental are available to book. 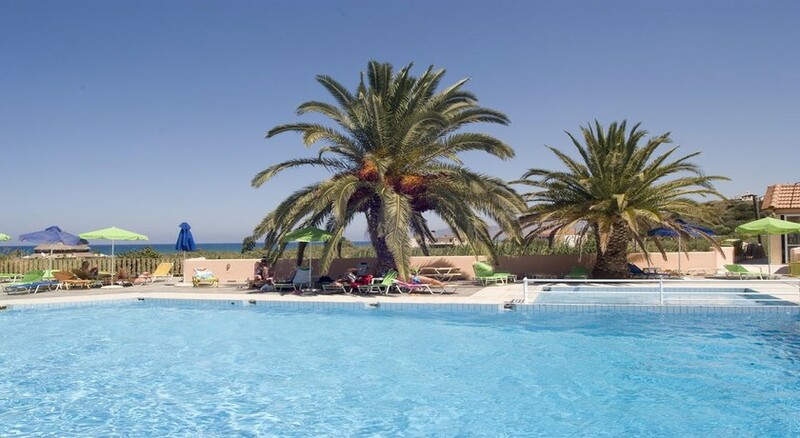 If you enjoy cooling off then one of the hotels swimming pools is the place for you, or why not hop across to the beach and have a dip in the sea? There is also a nightclub with a DJ as well as themed dinner nights to keep all guest entertained in the evening. Cards accepted: American express, visa, Mastercard, maestro and unison pay. Language spoken are: Greek, English, Norwegian, Russian and Swedish. The closets airport is the Chania international airport that is 14.2 miles away. Me and wife loved hotel and town was laid back Greece. WE did enjoy the climate and the the town it self. The Fereniki resort has to be the worst hotel I have ever stayed in. The rooms were dirty, the bed was broken when I first arrived, there was a wasps nest outside the front door and despite numerous complaints it was never dealt with. There was no hotel entertainment at all, the food was terrible with wasps climbing all over it. There were two all inclusive bars in the entire resort, one in the restaurant where only one bartender served the whole resort, there were always about 15 people waiting to be served any time you wanted a drink. The other bar was the main hotel pool which had thousands of ants running around the sun beds and a foul smell of sewage constantly. 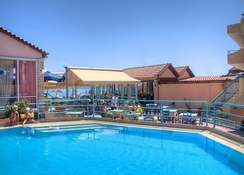 There were no good aspects to the Fereniki resort and I would never stay there again.